It is the second half of the story where I am somewhat disappointed with the pathway to solve the mystery. There was a change of character point of view to reveal the truth in a couple of the chapters. I am not sure that it worked effectively. Plus many of the characters drifted away and were left somewhat unresolved. Having said that there are some wonderful characters where your heart aches for them. Throsby highlights that while everyone thinks they know what everyone is doing in a small town there is also little appetite to become involved. This is especially so with domestic violence. 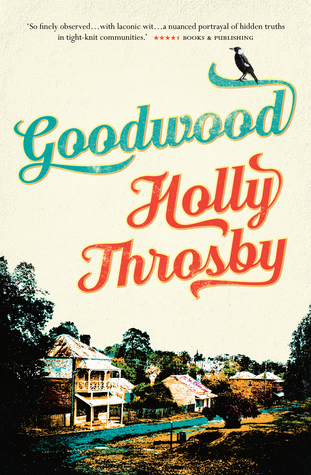 Throsby is certainly a talented writer and has crafted an engaging novel with some interesting characters. She has great pacing and really did capture the uniqueness of a small Australian town. It is a strong debut novel and Throsby certainly has a way with words. For more information on Holly Throsby's writing and music check out her website.